Hey, everyone. Make room on your bookshelf for The Little Red Fort written by author Brenda Maier and illustrated by Sonia Sánchez. Brenda is a teacher, a writer, and a member of my Oklahoma SCBWI tribe. She was kind enough to stop by Picture Book Builders to share some details about her debut picture book. The Little Red Fort is wonderful in about 432 different ways. Brenda, congratulations on your debut picture book! Please tell us about The Little Red Fort. Thank you, Tammi. I’m delighted to be here. I’m a huge fan of your books. The Little Red Fort was in the first round of submissions that my agent ever sent out. It got immediate “interest,” as they say. Even so, it took over a year of back-and-forth revisions with my editor before I was offered a contract. When it finally happened, I was elated!For my first book to be with Scholastic Press and be included in the book fairs? I would have worked my whole life toward that dream goal. Of course, it took a few more months to negotiate a contract and even longer to find the perfect illustrator for the story. My path to publication, from submission to publication, ended up being close to five years, but it was all worth it. Sonia Sánchez did a beautiful job in creating art that feels like the perfect match for your text. The energy, the charm, those extra special details. What was your reaction when you saw the art for the first time? I was thrilled when I saw Sonia’s beautiful art.It was obvious she“got” the characters and their emotions, and that understanding made them relatable and engaging. Her vibrant and distinctive illustrations alone will make people want to pick up the book! 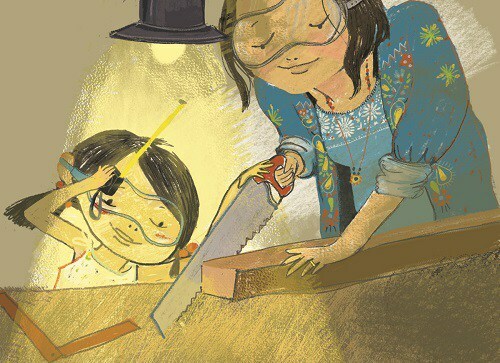 What is one key piece of advice in your picture book writing toolbox? I am a firm believer in the “garbage in, garbage out” philosophy. If I want to write, I have to read. I especially enjoy reading books I wish I’d written, because I learn the most from them. It’s through reading other stories that I make critical judgments about what I like and don’t like, what works and doesn’t work, etc. Reading also helps me internalize specific elements of the picture book form such as rhythm, pacing, and page turns. 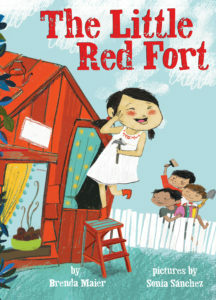 The more I read, the more my brain has an opportunity to connect disparate ideas, characters, situations, and problems—just like how The Little Red Hen and my kids’ fort-building converged to inspire The Little Red Fort. The Little Red Fort releases March 27. After that, Peeping Beauty (Aladdin/Simon & Schuster) hits the shelves February 5, 2019. Peeping Beauty is not really a retelling, but there is a subtle parallel to the fairy tale. Thanks so much for visiting us at Picture Book Builders! 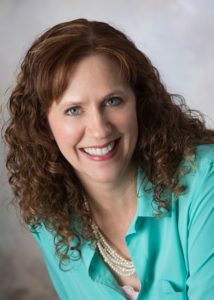 Brenda Maier is a member of The Society of Children’s Book Writers and Illustrators and a teacher in a large, suburban school district. 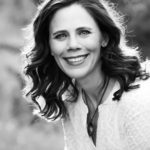 When she isn’t writing, she enjoys traveling with her family, baking peanut-free cookies, and watching her five children build amazing creations from found materials. She lives near Tulsa, Oklahoma, where she is surrounded by piles of laundry and even bigger piles of books. The Little Red Fort is her debut picture book. Brenda is giving away a signed copy of A Little Red Fort to one lucky duck commenter. Congratulations to Suzy Leopold! She won a signed copy of Twinkle, Twinkle Little Car as well as a manuscript critique from Kate Dopirak! Congratulations to Claire Noland! She won signed copies of Barb Rosenstock’s The Secret Kingdom and Blue Grass Boy! Brenda Maier, Sonia Sanchez, Tammi Sauer. Bookmark. Congratulations, Brenda! Can’t wait to see Little Red Fort in print. I have a feeling this will be a book I’ll wish I’d written! I’ve always love The Little Red Hen. Congratulations, can’t wait to read it! Wow! I didn’t realize it had taken five years from submission to publication! I love this story – perfect marriage of text and art. Congratulations, Brenda! Same! Persistence pays off BEAUTIFULLY in this case! Sounds like a beautiful book! Thank you for sharing your story! You are very welcome, Rebecca! I hope you like it. Little Red Fort sounds delightful. Thanks for sharing your publishing journey. I hope you like it, Linda. I loved your e-book on writing picture books! This looks like a must-have book for me! Thanks for sharing your story and inspiring writers. LITTLE RED FORT is absolutely worth the wait! Kudos and congratulations, Brenda and Sonia! Thanks, Sue. I miss you! Congrats on what looks like a wonderful book. Thank you for sharing it with us. Congratulations! Loved reading your publishing story. It’s so much fun when you have such a family-based “how it all got started” story for this book! That makes it even more special! Yay! Can’t wait to read your book! I love The Little Red Fort. It feels like a classic that will stick around a long time. Congrats, Brenda! That would be amazing. I hope so. Thanks, Lindsay! I always am inspired by a new twist on an old classic. And this will provide a treat for those familiar with that classic and the youngest ones who are not. Great job, Brenda! This book looks terrific! Thank you both for sharing. This book sounds wonderful! Thanks for the great interview Brenda. And congrats! This book looks fantastic! Can’t wait to order it! I’m looking forward to reading this updated retelling of The Little Red Hen. It looks like loads of fun! Looks like you’ve “built” a wonderful book. Congrats! I can’t wait to read it. What a great idea for a picture books – who doesn’t like forts? Can’t wait to read this one. Love the empowering theme and learning how it came to be! Congrats, Brenda. Great post! Thank you for sharing the inspiration for the book. I love all the layers and can’t wait to see it! This looks like the perfect book for my granddaughter-can’t wait to see it! Congratulations, Brenda, on your darling book! I can’t wait to get it in my hands! Congratulations! Little Red Fort looks absolutely adorable! Congrats from Greece! I am so inspired by your writing adventure! Simply fabulous! Congratulations! All of the elementary Librarians in our school district absolutely love the story Little Red Fort. We have our own reading challenge that we created and ran privately in our school district for the past 30+ years and this book was our DIV I finalists for next years challenge. It is a delight to read and great compare and contrast read aloud to the ever popular Little Red Hen. Thank you for sharing this story with everyone and giving us a opportunity to share with our students!! I love this book! Talk about girl power! I can’t wait to get it for my little super girl! Congratulations! Yes, what a great connection of disparate ideas! I love the premise of this book. Congrats, Brenda & Sonia! I look forward to reading Brenda Maier’s debut book, THE LITTLE RED FORT, illustrated by Sonia Sánchez. The advice to read books in the genre one writes is critical in becoming a stronger writer. I especially like how Brenda makes *critical judgements* when reading picture books as mentor texts. Tammi: I’m feeling excited and grateful. 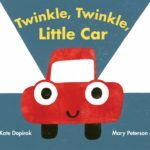 I look forward to receiving a signed copy of TWINKLE, TWINKLE LITTLE CAR and hearing from Kate Dopirak about the manuscript critique! Hooray, Brenda!! Smiling ear to ear for you 🙂 The world is already falling in love with your books and it’s just the beginning!! Congrats, Brenda! The Little Red Fort looks amazing! Oh I can’t wait to read this! Thanks for sharing! Definitely go8ng to look for this! What a clever idea! Thanks for sharing! Definitely going on my to-read list! What a fun story. Thank you for sharing. My students will love hearing this story! Love the story behind the story! Congratulations, Brenda. Congratulations, Brenda! What a wonderful spin on a classic fairy tale. Saw your book mentioned today on a 12 x 12 webinar with Betsy Bird. Can’t wait to see it and Congratulations! Love that our work requires so much reading. 🙂 Congratulations on both of your books. What a fun book! Can’t wait to check it out! Wow–great idea–can’t wait to see it! Congratulations, Brenda. I just placed a hold on THE LITTLE RED FORT and am looking forward to studying a new mentor text!